These past 2 weeks were a lot of fun for me. I have been using 3D modelling software for a couple years now, and Autodesk has by far the best products. 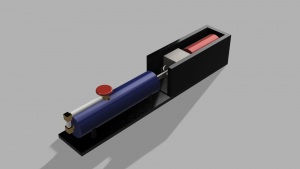 I learned AutoCad and Inventor in high school, so fusion 360 was really easy for me to get the hang of because its essentially just Inventor with a whole lot of bells and whistles. 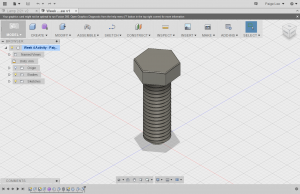 To refresh my memory, I chose to model the bolt. Yeah, it was probably the easiest design template to pick, but I felt like it had all the basics: chamfers, fillets, extrudes, revolutions, etc. I definitely noticed that I am much more comfortable with the parametric modelling than the free form stuff. Something in me just doesn’t like eyeballing or grabbing and pulling the free form designs. Because of this, I was very grateful for our art and design mentors as they seemed really comfortable with the free form modelling. In the spirit of shaking the rust off of my 3D cad skills, I thought it would be nice if I made something for my friend who is coming down to visit this weekend. The picture below is my 3D model of a logo for a team that we are both big fans of. I’m really looking forward to being able to use this software that I know with my brand new knowledge of 3D printing to make some really cool things! Time for a new software! 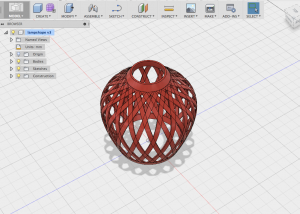 In the past few weeks, we’ve been going through a new software (well, new to us) that can be used in designing 3D items – Fusion 360! After that for our weekly assignment we had to follow one of the tutorials posted on the Autodesk website and create something from there. Honestly, it wasn’t as easy as I imagined it to be. After all, we’re following something step by step! There were a couple of times when I ended up in the wrong environment and couldn’t find a specific tool that I needed, and other times when I just clicked on random buttons and couldn’t go back, so I guess this practice was a great one to familiarize ourselves with the program. Anyway! I created a lampshade from the tutorial, which was awesome fun. 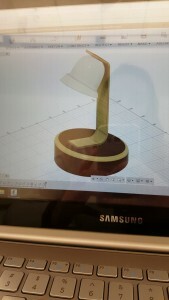 During class on Monday, we were supposed to design a desk lamp (which mine ended up turning wonky at the very last few steps to connect the lampshade and the arm). 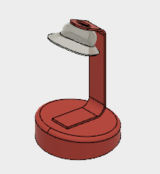 One of the really cool things about Fusion 360 is that we get to pick what materials we would like our lamp to be rendered into, and I ended up picking platinum for the base, gold for the arm and silver for the lampshade, which was utterly unfeasible, but still really cool. Look at how shiny that is! Now that I know a bit of the basics, I can’t wait to create more stuff and print them! 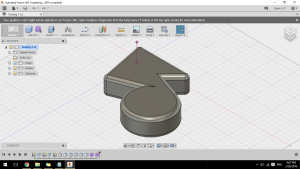 Having been introduced to Fusion360 over the past 2 weeks, I’ve followed a few tutorials to practice the key CAD capabilities available through this software (free to download, have a play around!). (Tutorials here). Most notable about using fusion is that while parametric modeling is still very key to producing most models, there is also a free-form sculpting function where shapes can be sculpted and molded by push/pull actions. As seen in this tutorial, the free-form tool can be used push pull designs into all kinds of fluid shapes and forms. 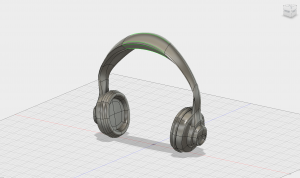 Here (below) are some headphones I designed following tutorials, entirely through the free-form sculpting function. 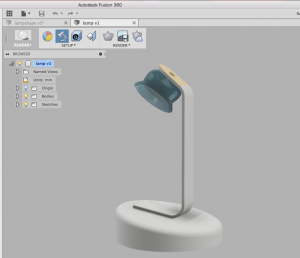 The lamp was created through mostly parametric modelling. Note: when using the free-form sculpting, particular care must be taken to ensure that when molding your shape, not to cross the shape into itself otherwise you’ll receive an error when you get to the end of your sculpt session. Very painful if you’ve spent some time one it. A lot of re-work, and I learnt the hard way. 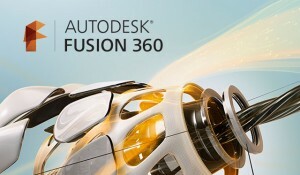 In comparison to other Engineering CAD packages (Solidworks, Creo, Catia) that I’ve come across, Fusion is a relatively easy piece of software to use, user intuitive and navigable, but does lack high end features available in the other CAD softwares that I’ve mentioned. It’s probably my go-to now for everyday designing though. Rendering designs also works a treat, with a basic library of materials and full scope of lighting effects that can be utilised. So what next? 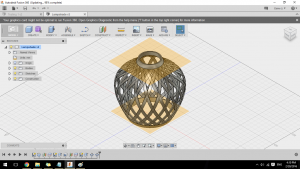 We have 3D printers, and Fusion360. Obviously time to get designing! 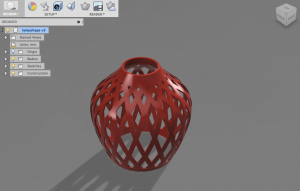 Over the past two classes, students had the unique opportunity to gain hands-on experience with Fusion 360. Unfortunately, my initial encounter with the software was delayed because my laptop wouldn’t allow me to download the software until I installed updates. However, I thoroughly enjoyed listening to Autodesk’s Lucas Ewing on Monday, February 15th. 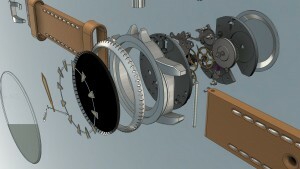 Although interesting, I found it quite difficult to keep up with Ewing’s lecture on Fusion 360. Later that week, I played around with the software on my own and quickly became frustrated. I had no idea what I was doing! 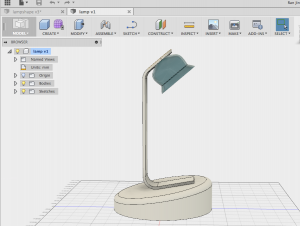 During next Monday’s class, my frustration with Fusion 360 began to dissipate after Gina Taylor and Nicole Chimienti’s tutorial on how to construct a lamp. 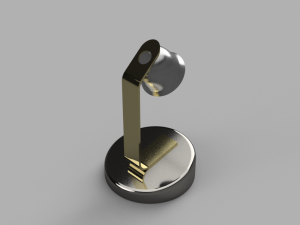 Even though I had to continually ask for help from both the lecturers and my peers, I became a lot more confident in my ability to design using the Fusion 360 software. By the end of class, I ended up with a pretty sweet-looking lamp. Check it out below! 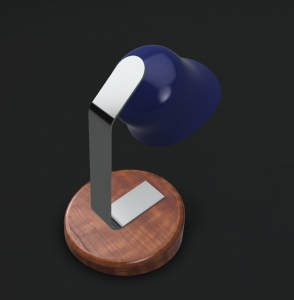 Through the use of the render tool, I changed the material of the lamp as well as its color. 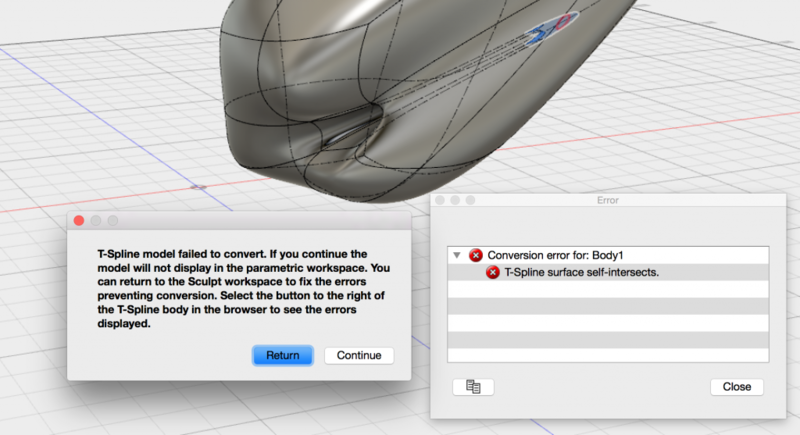 To me, this is one of the coolest features Fusion 360 has to offer. Once class was over, I was left contemplating different ideas on how to move forward with this newfound knowledge. The impact this software can make on one’s life is astounding. Now, I have the ability to tweak existing products to my personal liking. On a much larger level, however, I want to design innovative products that can help alleviate the human condition such as a purifying straw. My hope would be to have this product mass produced and available to individuals who don’t have access to clean water. 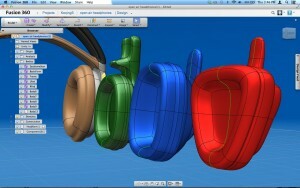 Before I can aspire to this, I need to become well versed with Fusion 360. My short-term goal is to use this software to create relatively easy, generic objects and work my way up until I’m proficient. 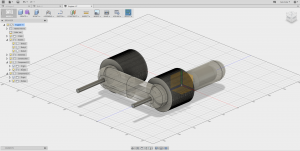 The importance of the Fusion 360 software is significant. It serves as a platform that enables individuals to design almost anything. 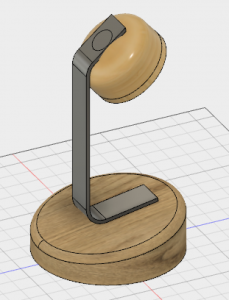 My experience with Fusion 360 has expanded my narrow mindset into an open abyss of endless possibilities. The past two weeks have been filled with a lot of Fusion 360 Tutorials. 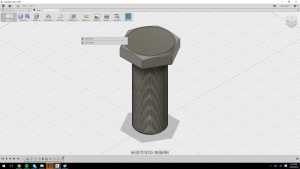 On Monday, February 15th, Lucas Ewing of Autodesk joined us for our first tutorial and showed us how to build the tip of a mechanical pencil. I actually had great difficulty keeping up with his tutorial since it was my first time using the software. But after a little one-on-one help I realized my main problem was that I didn’t understand the controls of moving around the 3-dimensional space. That helped tremendously. When I went home I was able to practice a bit on my own using another Autodesk tutorial. I had made a bolt, and surprisingly I didn’t have nearly as many difficulties as I did when trying to make the tip of the mechanical pencil. This past Monday, the 22nd, Gina Taylor and Nicole Chimienti demonstrated a tutorial for how to build a lamp. This seemed a lot more complicated, so I’m glad we had people to guide us through on how to do it. I learned a lot of valuable information when it came to using the software: like the difference between push/pull and extrude. This was also my first time using the design tools and took my abstract lamp idea and turned it into a plausible design idea. These past two sessions and the on-our-own session in place of a reflection last week have certainly made me more comfortable with the software. Though I certainly don’t consider myself to be an expert any time soon, I am content with the amount of knowledge I have obtained within the past few weeks. I’m not really used to hands-on classes, so this style of teaching is very different to me. But so far I am really enjoying it! In the next few weeks I’m hoping to become even better with the software. 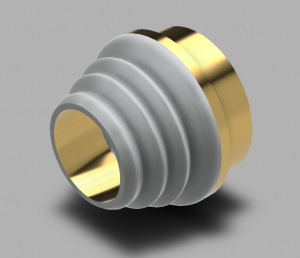 I need to start thinking of objects in the sense of how they can be designed in Fusion 360. When we first had our session with Lucas Ewing, his thought processes blew my mind in designing the mechanical pencil tip. I believe thinking in those terms will help me in my future semester project so that I can easily design whatever I’m going to make. Changing your thought process isn’t always easy, but that’s what learning is all about!